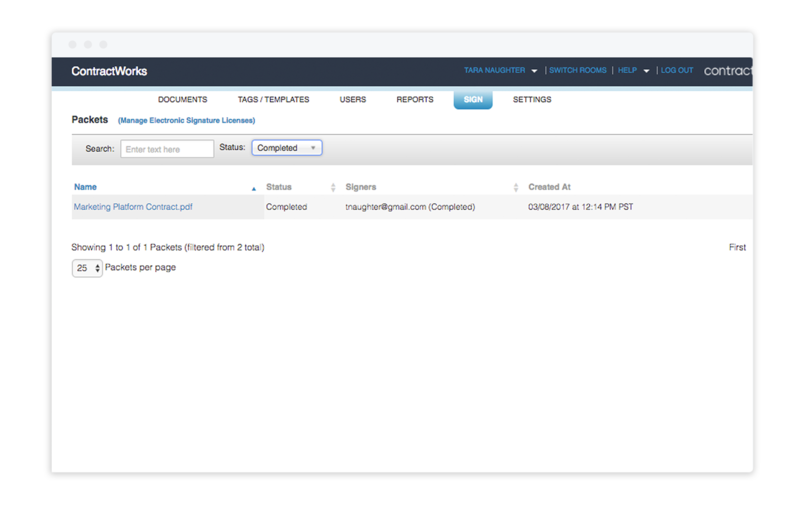 The completely built-in electronic signature feature allows you to set up, request, and automatically file signature documents directly from your ContractWorks system - no cumbersome API to slow down your signing process. Like the rest of our platform this feature is intuitive to use, simple in it’s design, and can be executed in seconds. To use, simply click on the pen icon located next to the document in your ContractWorks account. Then you can select unique signature and/or initial locations on the document, identify your signer(s) using their name and email addresses, and they will receive a notification via email complete with your unique instructions on next steps - no email, faxing, or printing required! While your documents are out for signature you will have the ability to track the status from inside your account. 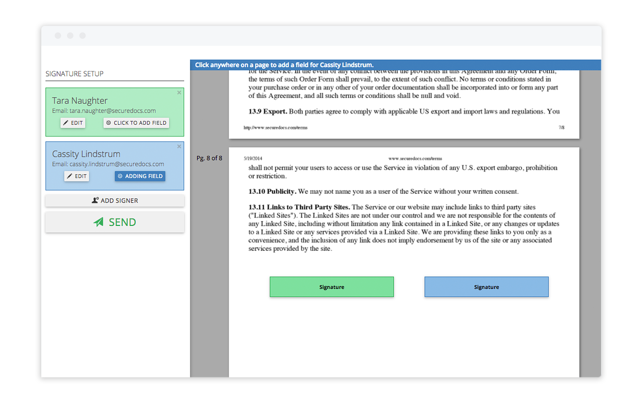 If the signature request is not completed ContractWorks will automatically remind the signer of the request 3 and 7 days later, and if need be you also have the ability to cancel your signature request at anytime with just a click of your mouse. Once the signature process is complete your documents will be automatically filed into your system, and ready for you to track and report on future milestones. ContractWorks with built-in electronic signature was created to simplify the signature process for our users, and increase transparency and timeliness while your contracts are out for signature. Built to comply with the ESIGN Act and individual state regulations, our electronic signature removes the need to pay for additional online document signing services, and consolidates your contracts into one secure contract management system - no more downloading or lost contracts. 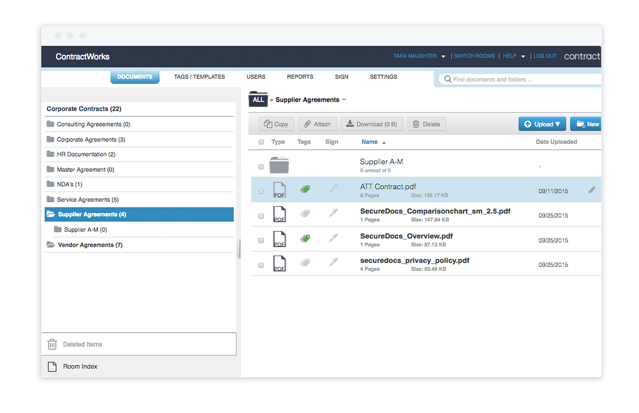 We understand how important an easy and secure signing experience is to the contract management process which is why all ContractWorks accounts now come standard with electronic signature. It is available to you as soon as you activate your account with us. Request your 30-day free trial, and get started today.